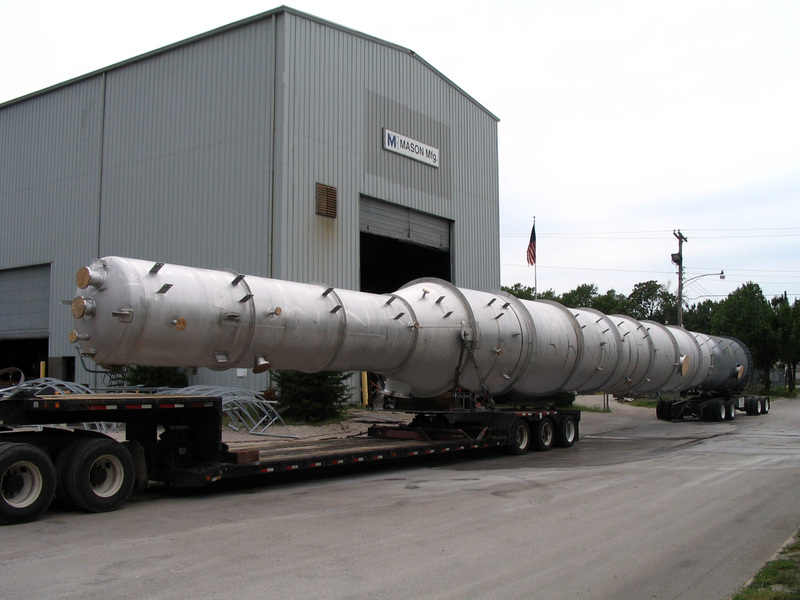 Mason Manufacturing custom fabricates a wide variety of trayed and packed Columns and Towers. Distillation, fractionation, stripping and absorbing equipment can be fabricated to meet strict customer Column requirements. Mason is experienced working with a wide variety of materials, including stainless steels, duplex stainless, carbon steel, and a variety of nickel alloy steels including Hastelloy®, Inconel®, Monel® and clad materials. 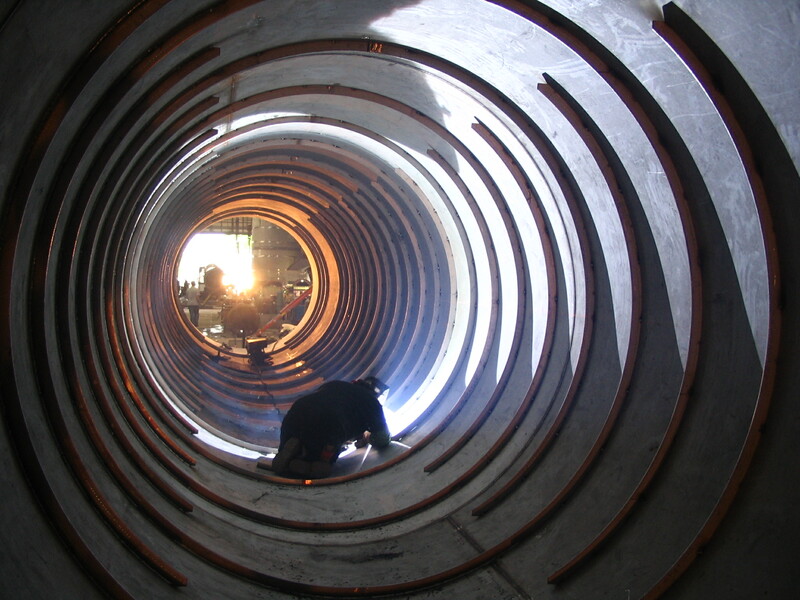 Using skilled fitters, certified welders and formal procedures ensures that fabricated units conform to customer specifications, required codes and accepted industry standards. Mason has a long history custom fabricating Columns and Towers for a broad and diverse number of industrial processing market sectors including Ag Chem, Grain Processing, Oil Seed, Biofuels, Bioenergy, Biotechnology, Chemical, Petrochemical, Pulp & Paper, Petroleum, Power and Water. Shipping Columns – Mason in house logistics support works directly with customer logistics personnel for planning, arranging and shipping of Columns on a timely, efficient and cost effective basis. Mason logistics will also work with engineering to ensure saddles, lift and tail lugs are designed into the finished unit to facilitate safe delivery. Mason has successfully coordinated and shipped Columns of up to 150 feet in length across the US and Canada.